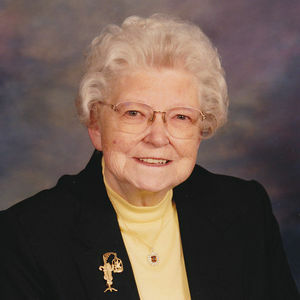 Last week, a wonderful woman died - my Great-Aunt Garnet. She was my Grandmother's sister, and she was lovely to be around. I am not sad for her, because Aunt Garnet was almost 93 years old and more than ready to die. I am sad for all of us left behind, for the people who never met her and now never will. Aunt Garnet was a character, in the best sense of the word. The last time I saw her, she told me a story from her childhood. As a little girl, Garnet loved to play with imaginary animals, particularly imaginary dogs. She would bring them water, play with them, and take them on walks. One day, a stray dog appeared at the side porch. A real stray dog, not an imaginary one. Garnet went to the kitchen and asked her Mother for a dish of water for the dog. Her Mother agreed, and got her a dish. Garnet took the dog the water and petted it for a bit. Then she went back inside and asked her Mother if she could keep the dog. Her Mother agreed, and told Garnet that she could keep the dog. Aunt Garnet told me that she was certain that her Mother didn't know it was a real dog, but that her Mother let her keep the dog anyway since she agreed to it. Aunt Garnet married a widower named Glenn, who had two sons from his first marriage. She told me that she always felt like their Mom and that she considered them to be her sons, though she knew that she could never take the place of their Mother. Aunt Garnet didn't want to take the place of Glenn's first wife, she simply wanted a place of her own in the boys' lives. When I married a man with a son from a previous marriage, I understood what Aunt Garnet was saying, and I knew I had someone to talk to who would understand that part of my life. So I dedicate my blog to you today, Aunt Garnet, to your smile which you readily shared with the world, to your willingness to help, to your knowledge and understanding. I hope that I live and die as gracefully as you. Sounds like the world was definitely a richer place because of your Aunt Garnet! I'm sorry for your loss, but am happy that she lived a long and wonderful life.